The 23 vRide is a large family boat that will meet a water sports family‘s needs. In its previous incarnation as a Wakesetter, it has graced the waters of professional tournaments and some of the country‘s elite wakeboard schools, such as Darin Shapiro‘s Ride the Spot. With tested and professionally proven performance, the 23 vRide includes everything your family needs at an affordable price. 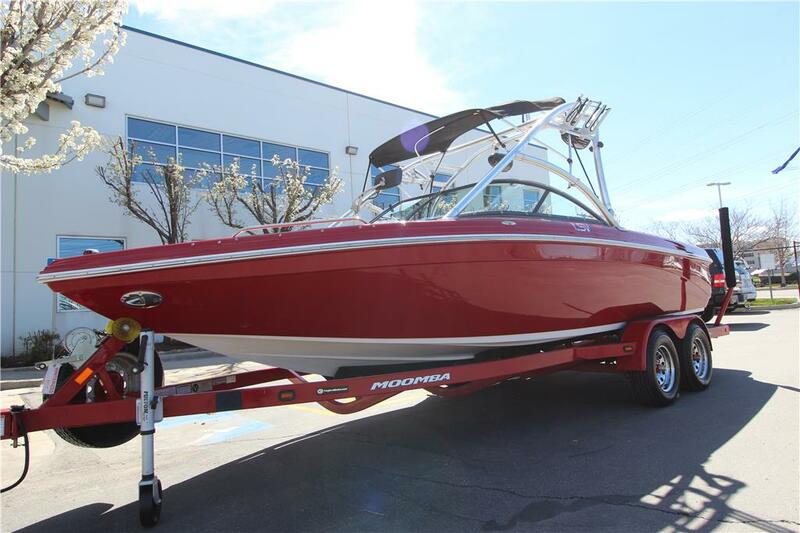 It comes equipped with 400 pounds of Malibu Launch System (MLS) and an Illusion X tower, but you can add another 500-pound center ballast tank and the Patented Power Wedge for even more launch. However you configure it, the 23 vRide will carry 13 people and their gear for a fun day on the water. The 23 vRide accommodates 13 people and all their stuff. The wrap-around lounge welcomes the crowd with comfortable, ergonomically angled seat backs. The bow offers overflow seating and oversized cup holders within arm‘s reach. Floors can be kept clear of clutter, thanks to the extensive storage. The locking rear storage area swallows boards, vests, ropes and anything else you need for a tribe of boarders out for a day of extreme performance. The 23 vRide is designed with friends in mind.